Sky Sports (h/t Mirror) reports that Callum Hudson-Odoi has submitted a transfer request as he looks to join German giants Bayern Munich. The 18-year-old is set to reject an offer of £85,000-per-week from Chelsea, as per the report. Chelsea have failed to react to the fourth bid from the Bavarian giants worth £35m, however, Hudson-Odoi wants to play for the Bundesliga champions, according to the report. The 18-year-old has found starts hard to come by under Maurizio Sarri this season. Hudson-Odoi has mostly played in the Europa League. The attacker has seen several other English youngsters perform well in the Bundesliga, with Jadon Sancho starring for league leaders Borussia Dortmund. 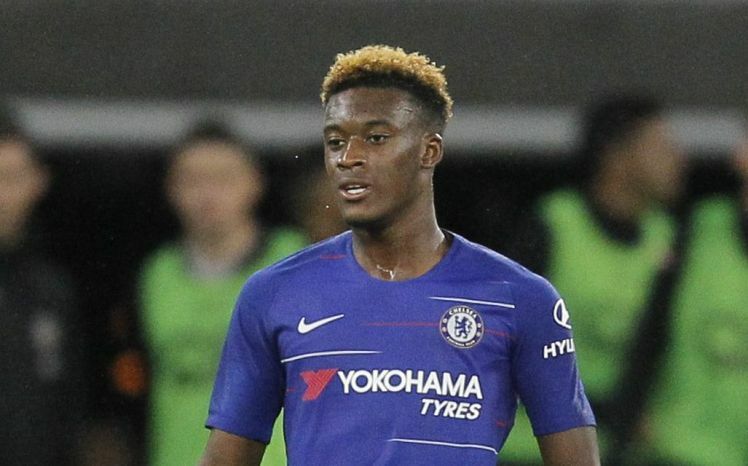 This would come as a bit of a blow to Chelsea given that Hudson-Odoi is one of the brightest talents we have in the team. However, the money Bayern are willing to provide is a decent sum. The Chelsea youngster is yet to prove his match-winning abilities for the senior side. The Blues have been hit and miss under Sarri this season but reached the finals of the Carabao Cup with a penalty shootout win over Tottenham. Several Chelsea fans weren’t sure of what to make of the deal, with many wanting the club to sell while some lashed out on the player. Ice cold. Afro. Brazilian flair. Elite workrate. Hates Tottenham. Given no chance by Chelsea fans. PL champion. Just sell CHO and buy Pepe. I’m tired of this now. We adore Callum Hudson-Odoi as fans. Chelsea loves the idea of a golden boy prospect in Callum too. But if he really has handed in a request to leave.. he clearly doesn’t love us or the club back.